Dulins Grove Advent Christian Church is located right on Hwy 24/27 on the Albemarle Road, just barely inside the Mecklenburg County line. It is closest to the Cabarrus county community of Midland and part of the historical Mecklenburg county community of Clearwater Creek. 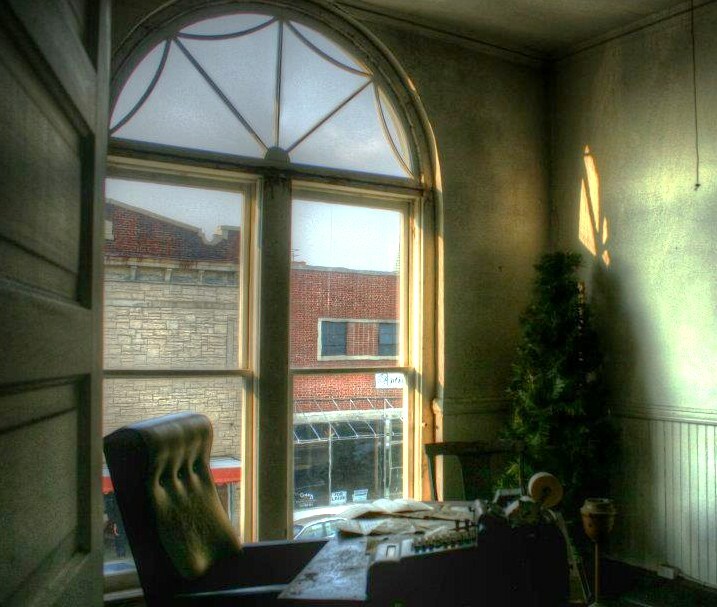 The small church was established in the 1890's by the Dulin family, in an extinct town called Allen . 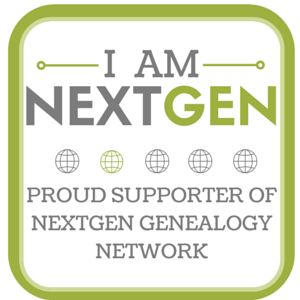 I have been researching the Hooks family of my great, great grandmother Sarah Hooks Hill. 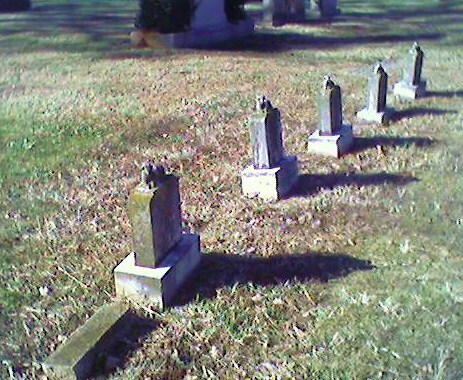 The Dulins Grove cemetery reflects the names of the earliest settlers in that part of Mecklenburg where it meets Cabarrus and Union and is within spitting distance of Stanly. Hartsells from Midland, Biggers from Cabarrus, Helms from Union, Simpson from Stanly, are buried here with the Dulins, the Allens, the Flowes and the Haglars, and more than a few Hooks. While searching for the graves of John E Hooks and his wife Isabelle, I discovered this sad row of 5 little lambs, all Hooks children. Four of the graves were the children of Mr. & Mrs. Fred Hooks and the other their granddaughter. 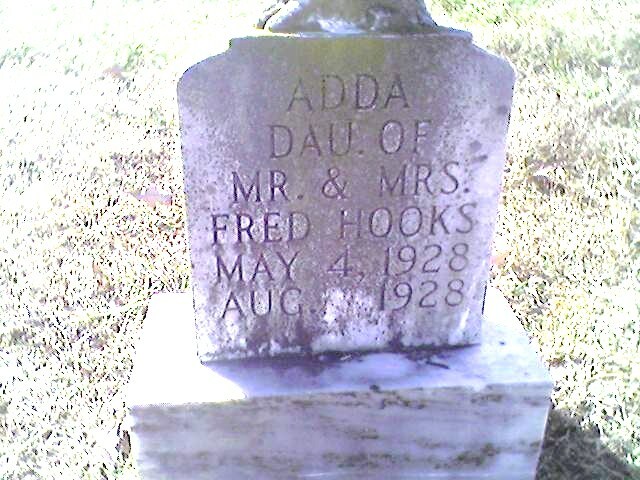 Fred was a son of John E and Isabelle. John E Hooks was the son of Emmaline Hooks, my GG Grandmother's sister and John E Barbee, while his wife Isabelle was the niece of another one of my Great, Great Grandmother's, Julina Aldridge Davis, as Izzy was the daughter of her older brother Hamp. So, I am related to this family frpm both sides. Also buried in this cemetery is Lilla Jane Hooks Allen, daughter of John and Isabelle, her daughter Ruth, who also died as an infant, and her husband, his second wife and one of their sons. Lilla Jane's husband, Walter A. Allen, was a member of the Dulin family, as his mother was Carrie Dulin who married Thomas W. Allen. Even in the early years of the twentieth century, when childhood diseases were still running rampant and influenza epidemics could wipe out a community, this was a lot of children from one family, so I was curious and decided to look into it closer. 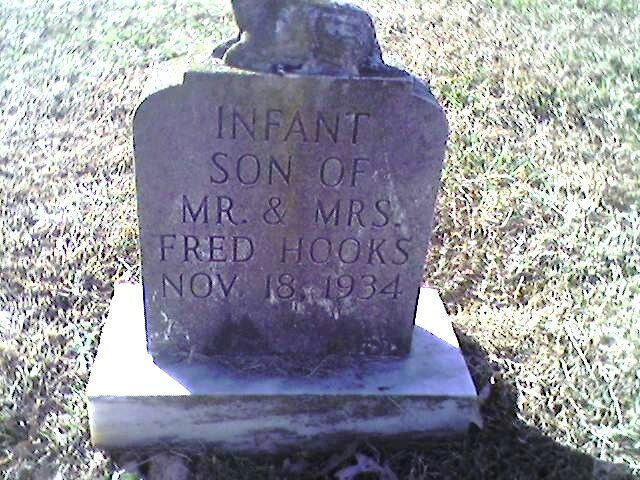 Fred Hooks was born 20 Jan 1897 and died 11 Mar 1964. 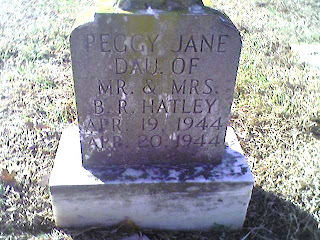 He married Mary Jane Hatley 1901-1964. Zila b 7 May 1921 in Mecklenburg County d 5 June 1999 in Midland, Cabarrus County. Married Tom Adam Johnson. Ida survived past infancy. She grew up and married Houston George Thomas and raised her two children in the Midland community of Cabarrus County. As of this writing, she is still alive. Thirteen Children. Six dying in infancy. 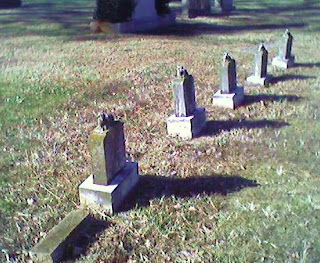 Peggy Jane Hatley was the daughter of Janeva Hooks and Berry Richard Hatley, making her a niece of the other babies buried in this row. 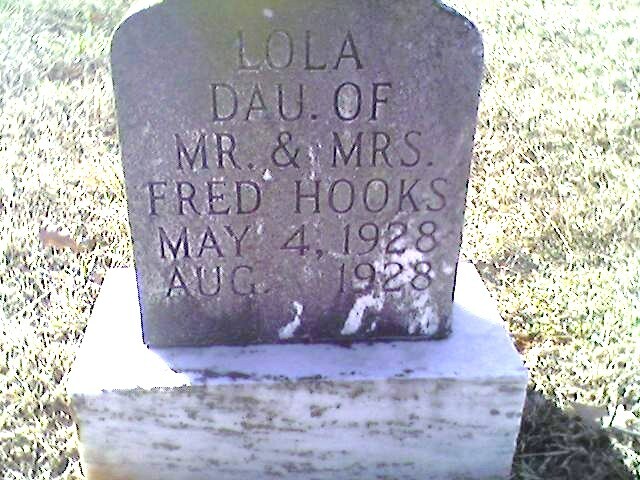 Not in the row, but a first cousin to these babies, was little Ruth E. Allen, daughter of Fred's sister Lilla Jane Hooks Allen. 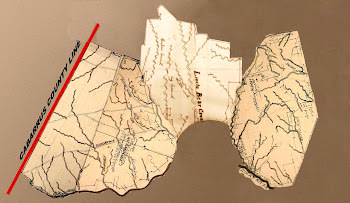 I noticed the prevalence of the Hatley name in the family tree and wondered about the connections. Mary Jane Hatley was the daughter of Lilly Richard Hatley and Margaret Lou "Maggie" Harwood. Lilly Richard Hatley was the son of John F Hatley and Minta Julia Ann Sides..
His wife Maggie was the daughter of Paul A Harwood and Rhoda L HATLEY. John F Hatley was the son of Hardy Hatley and Sarah Rebecca Mitchell. 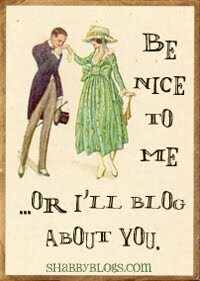 His wife Mintie was the daughter of Alexander "Sandy" Sides and Barbara Ann HATLEY. 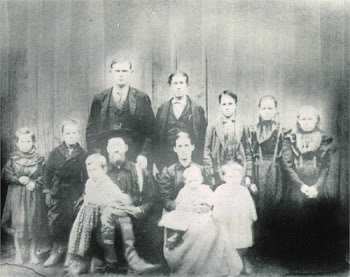 Paul's wife Rhoda was the daughter of Edmond Lee HATLEY and Sarah Leah Springer. Edmond Hatley was the son of Hardin HATLEY and Bathsheba HARWOOD. That's a lot to keep up with, but it breaks down to this, among Mary Jane's 8 great-grandparents, 4 were Hatleys and 2 were Harwoods. Three of the 4 Hatleys who would become her great-grandparents were siblings. As two of the Hooks sisters, Maggie and Jeneva, married Hatley brothers, I wanted to find the family connection there. Pete and Tom were the sons of Luther Haston "Coot" Hatley and his wife Mary Frances Page, Coot was the son of John Hastin Hatley and Martha Jane Herrin Hatley. John was the son of Hastin Hatley and Bathsheba Harwood, a brother of the Edmond Hatley mentioned above. Making the Hooks sisters second cousins with the Hatley brothers. Every being carries an indifferent number of defective genes, that cause no problems unless mated to a carrier of the identical defective gene, and even then, it will not effect every offspring. One quarter will be born with the malady, half will be carriers and one quarter will be born free of the gene. 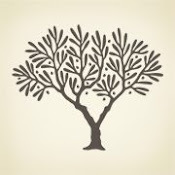 I can't help but think that the preponderance of Hatley's and Harwoods in the family tree of Mary Jane had something to do with the death of nearly half of her children. 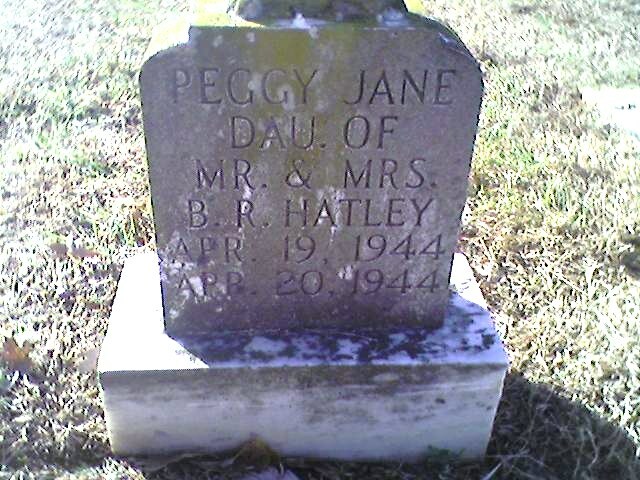 And with two of her daughters marrying back into the family, little Peggy Jane may not have had a chance. Communities were smaller in those days and transportation was not as available as it is now. Candidates for marriage were not as plentiful or varied. Cousins often married, without the knowledge of what that meant genetically. Five little lambs. Victims of disease or their family tree?